Richard Clark, director of orchestral studies, looks over the orchestra, examining every detail of the pit with his hawk-like eyes. We get the five-minute call as the noise level in Clowes Memorial Hall increases, voices of people far above us echoing overhead. The lights dim and the announcements are called. As we tune, talking in the hall falls to a murmur and people take their seats. We tune, our eyes focus on Clark, and with his downbeat we embark on three hours of intense concentration. Tempo changes and tricky passages are laced in an ever-changing performance. This is what it looks like when the Butler Symphony Orchestra accompanies the third ranked collegiate ballet program in the country. In a few weeks, the orchestra will take on this marathonic task and play for Butler Ballet’s production of the Sleeping Beauty. What is remembered as a fun, lighthearted children’s fairytale is now a three-hour beast that challenges the 17 years worth of blood, sweat and tears I’ve put into learning the violin. As a sophomore with only one previous year experience in the Butler Symphony Orchestra, many of these methods and responsibilities expected of me have been learned on the fly. Scheduling and leading rehearsals for the first violins, making markings in the music, and perfecting solos to learn are all part of my role. It’s a struggle to get people to prepare for things that aren’t on the forefront of their minds. Orchestra is one credit hour that contrasts the minimum six hours committed to it each week. In the busy rush to semester’s conclusion, everyone has a million things to manage, and practicing can quickly fall to the back-burner. I’m just as subject to fall into these habits as well. Few musicians in Butler’s orchestra are music majors, meaning the remaining students have other classes, and responsibilities — not just music. Despite the obvious importance of Sleeping Beauty, it is hard to get people with minimum time put maximum effort into learning the music. With Sleeping Beauty, however, we have a hundred dancers relying on our preparation and clarity. Our relationship is codependent; the music we provide lays the groundwork for the dancers, the main event. The glue between the stage and the pit is reliant on our conductor, director Clark. Clark grew up with music as his life support. A Butler icon and the BSO’s fearless conductor, Clark’s passion and knowledge for music is extensive and impressive. Even though we aren’t a conservatory, a highly intensive music performance program for the best amateur musicians in the world, he pushes us to nothing less than the best. His high standards allow for a growth within students only a few educators can inspire. These high expectations can clash with the orchestra’s previously discussed lack of preparation. This can lead to heavy rehearsals filled with yelling and clear disappointment by Clark. This frustration is warranted, of course, but it makes the three hours of rehearsal trudge on. All of these obstacles put a damper on everyone’s mood and morale. Despite the challenges, however, the payoff is very much worth any obstacles along the way. While our preparation may sometimes be lacking because of Butler’s liberal arts status, this status also allows for a surplus of opportunities that people at conservatories aren’t privy to. To be able to play a professional ballet twice a year is an opportunity very few undergraduate programs offer. I am very honored by the level of trust Clark has put in me to represent the orchestra. At graduate-heavy schools like Indiana University, I would never be considered for the position as a sophomore, but Butler has helped me to build myself as a future professional. 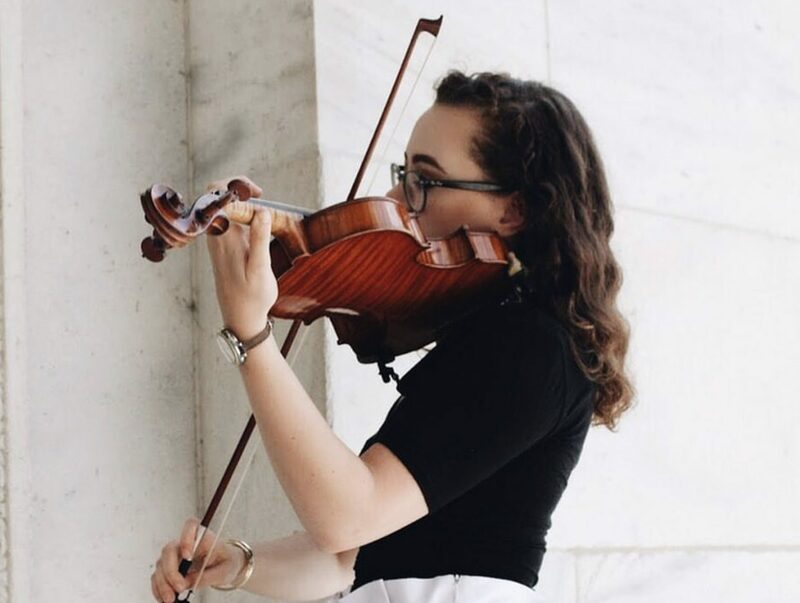 Experiences like playing in the orchestra put all of us out of our comfort zone, but that is the truest way to learn when you’re pursuing a music career. I am also honored to get the opportunity to grow into my leadership skills, something I’ve always been hesitant to learn. The stress is overshadowed by the accomplishments we get to share when we overcome the beast together. It is why I yearn for those dimmed lights and the audience in anticipation of a great performance, one that we are able to supply them. Clark gives his downbeat with a furrowed, passionate brow, and away we all go.